There are certain indispensable documents they should have in place in the event that the unthinkable happens. The following is a list of some of the most important documents, along with a description of why they are important. A Durable Power of Attorney is designed to allow your named agent make asset administration decisions on your behalf in the event that become incapacitated. The Durable Power of Attorney relates only to those assets that may be outside of a Trust. (Assets which are in the Trust can automatically be administered pursuant to the terms of the Trust). 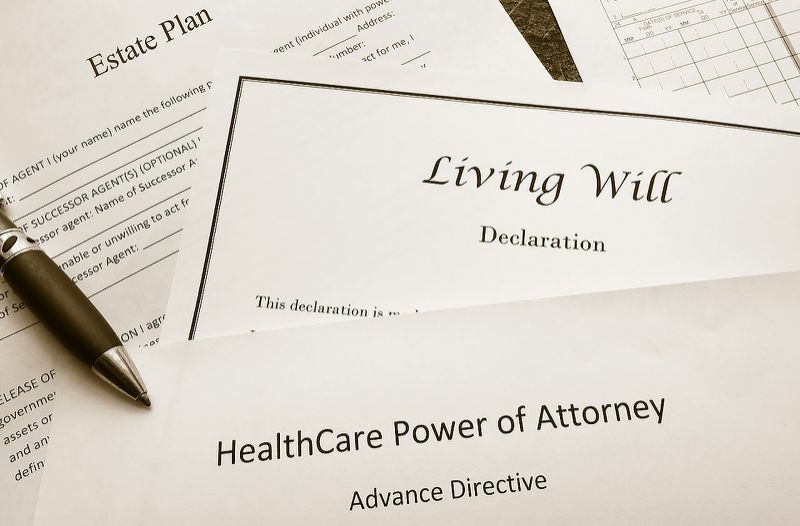 The Advance Health Care Directives give your named Agents (initially the other of you is the primary Agent) the power to make medical decisions, sign consents and/or releases with hospitals and/or doctors. It also acts as your “living will” for end-of-life decisions. Pursuant to the requirements of Health Insurance Portability And Accountability Act (HIPAA), this document authorize your health care providers to release information concerning your otherwise confidential medical information to the individuals you have designated to act on your behalf in the event of disability and to any other individuals who you would also want to have such access. Depending on your estate planning needs, a will can serve several different functions in your estate plan. Your will can be the foundation by which you transfer your assets after your death. Or, if you have a living trust in place, a will is drafted as a “pour over will” which operates to transfer into the trust any assets that may have been left out. When assets transfer via a will, it will be necessary to go through a process called probate. While there is nothing inherently wrong with the probate process, there are two main drawbacks to probate: it can be expensive and assets transferred through probate are accessible to the public. A will can also be used to designate guardians for minor children. A Guardian Nomination provides for Guardians for your minor children in the event you and your spouse are unable to physically care for your children. The Guardian provisions take effect in the event of death or incapacity. A Living Trust can serve as the foundation for your Estate Plan. In fact, it should be the foundation of your estate if your estate (including the gross value of real estate) is over $150,000. As the name suggests, it is Revocable at any time by the Creator(s) and can also be amended or changed as your circumstances change without legal aid if you so desire. The Trust is also recognized as a living entity (like a corporation) in the sense that it continues to live after your life to administer the affairs of your estate. With a trust, you not only avoid the expense of probate, but you can customize how your estate will be distributed. A living trust will allow you to continue to provide financial guidance after your death. Trust can also be used to provide for the care of your pets after your death and to put conditions upon how your estate will be distributed to your beneficiaries.